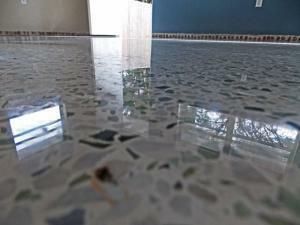 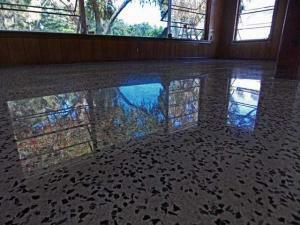 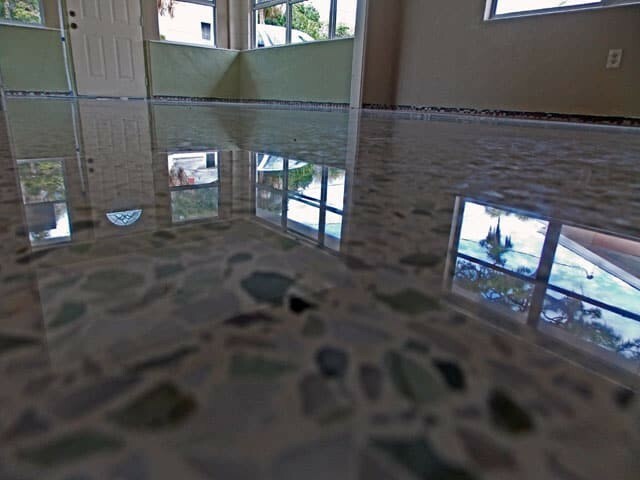 Terrazzo restoration cost can be a tricky subject. The price can vary from $1.00 a square foot to over $8 a square foot. I have been told some were quoted up to $22 a square foot. 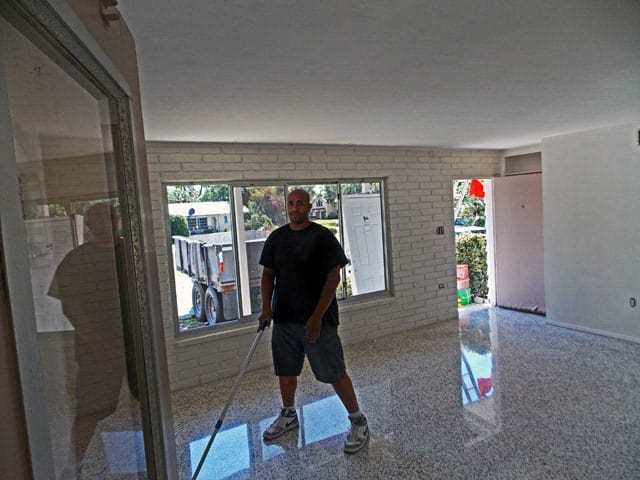 You might ask, “how can the price vary so much for the same thing”. Well, that is simple. 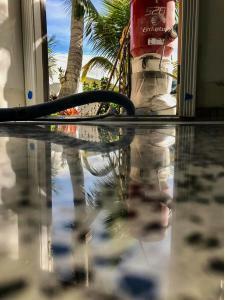 The old saying goes, “You get what you pay for.” It would be great if it were that simple, but generally that is true here, Some that will charge $1.00, or less, a square foot will attempt to simply clean, or strip your terrazzo. 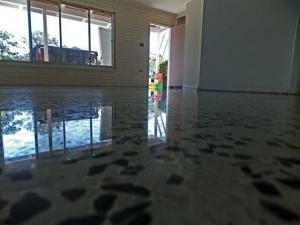 After that they may use a topical sealer, or finish. 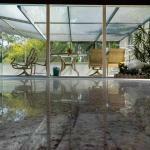 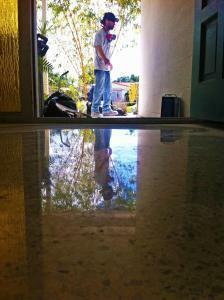 The problems associated with that are that dirt and stains will remain in your floor. 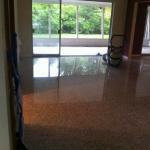 The floor will need redone every year or so and will scratch easily. 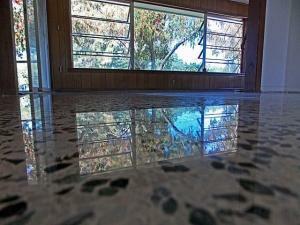 If that system worked well most terrazzo floors would not have been covered. 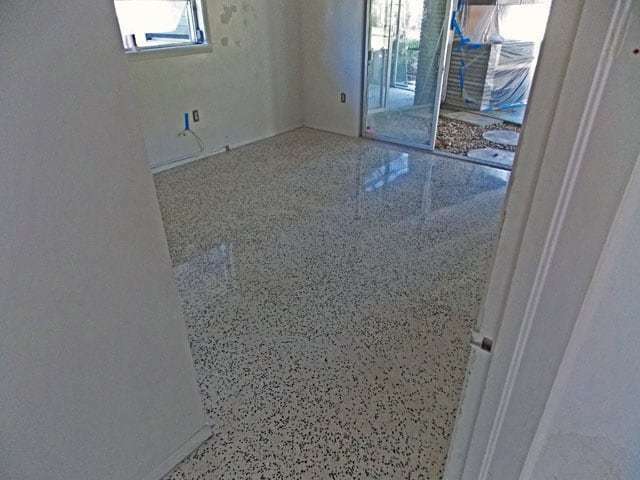 For a little more you might get someone to grind the floor and coat after 200 grit. 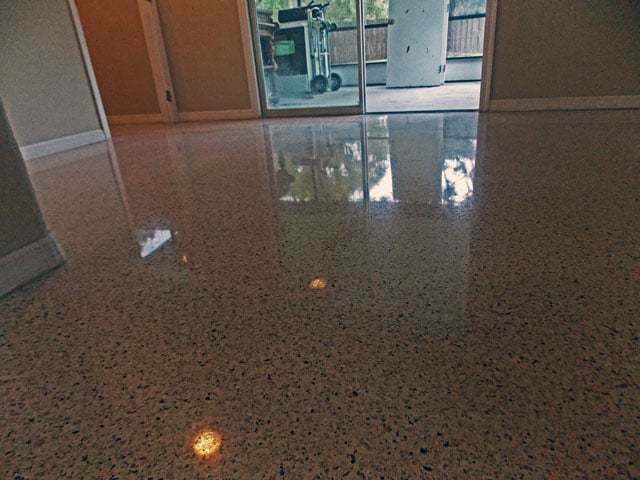 This system can clean up the floor but again the floor will darken over time, scratch easily and need tripped and redone every year or so. 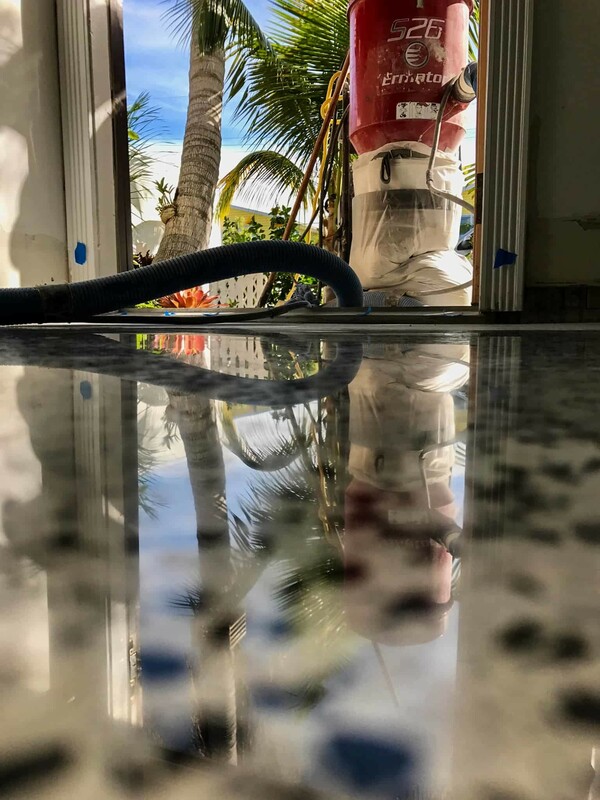 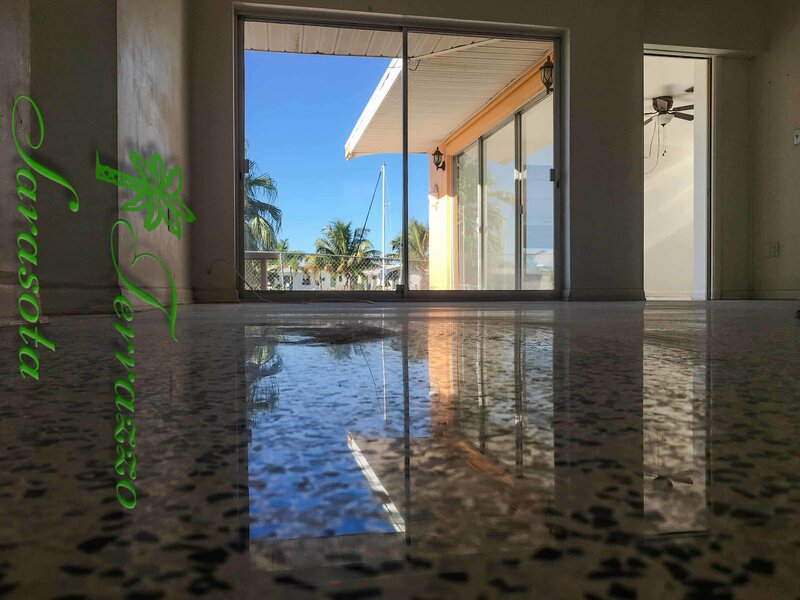 For around $3.00-$8.00 a square foot you can either get a floor done with polishing powders, a recrystallized floor or a diamond polished floor. 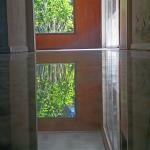 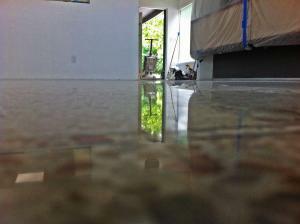 When a floor is done with polishing powders it may be first ground with meal bond diamonds and honed with diamonds. 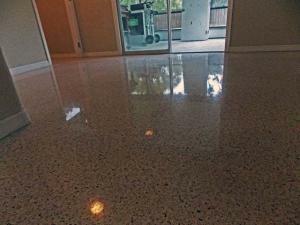 After that the floor is slowly polished with higher and higher grits of polishing powders. 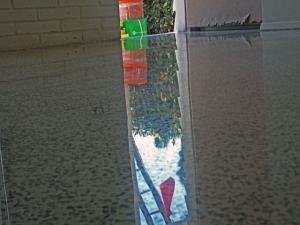 These powders use acids and finer and finer grits. They will need buffed every couple of years. 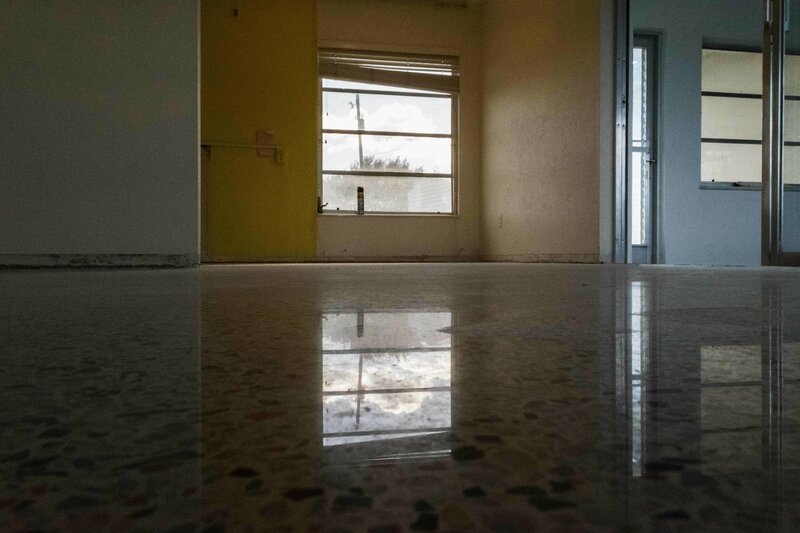 Eventually these floors will need redone. 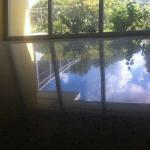 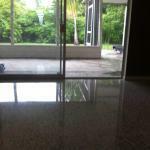 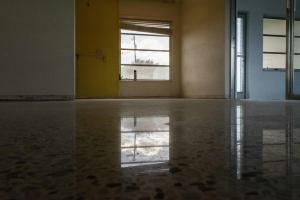 Also in this price range are recrystallized terrazzo floors. 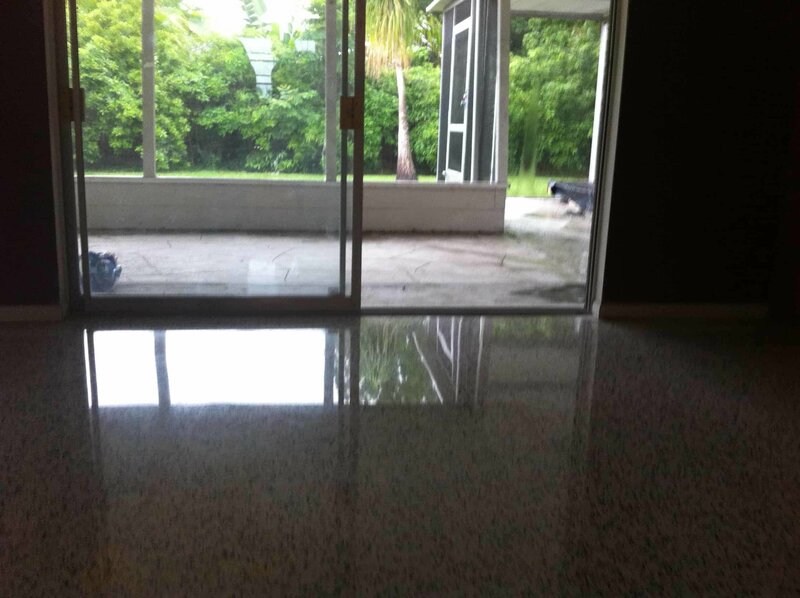 These floors are typically done, up to, four hundred grin than an acid is used to change the top of the terrazzo floor. 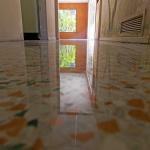 These floors need rebuffed every one or two years to keep them shinning. 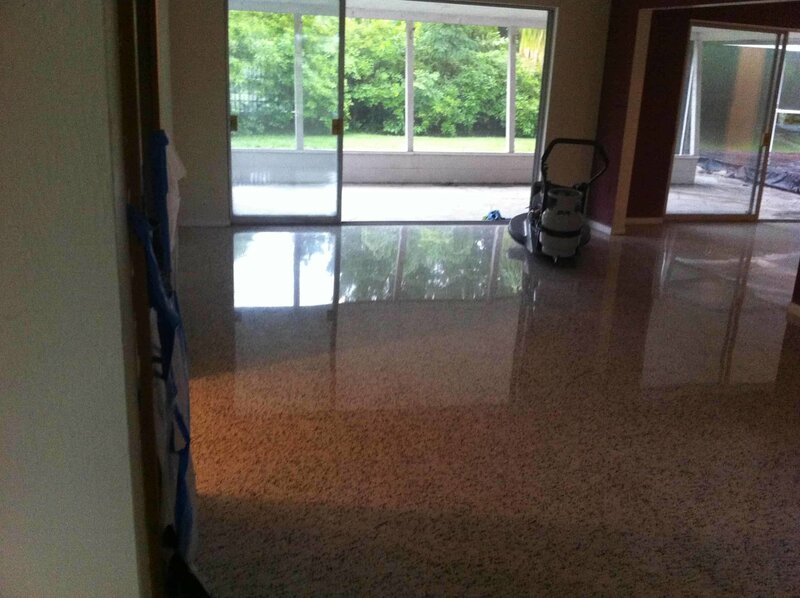 Eventually these floors will need completely redone. My Terrazzo Floor Looks Awful. 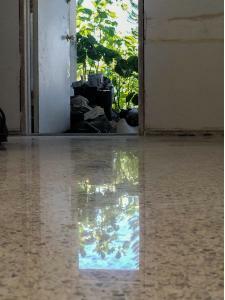 Can It Still be Restored? 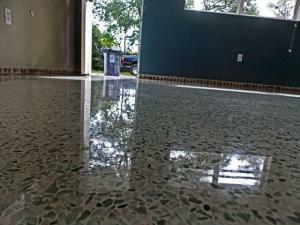 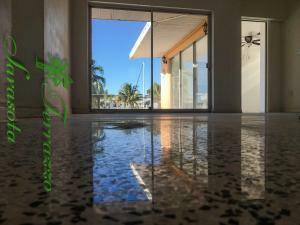 Can Terrazzo Be Dry Polished?